Play Blood Suckers 2 for real! It was in 2008 that the Twilight saga was introduced, kicking off the so-called “Vampire Renaissance”. Things were getting real when it comes to vampires and many fell in love with either Bella or Edward, if not with the other hunk in the story called Jacob who can become pretty hairy from time to time. Vampires and wolves, all part of just one saga in which both creatures are constantly threatened by either each other or an outside factor. The ongoing excitement in the movies must have been of big importance because vampires have been part of books and films for hundreds of years. Nothing new there! The premiere of the Twilight saga has definitely been responsible for a “Vampire Renaissance” in the past decade and what followed was a massive influx of vampire-related films, series and games. The Vampire Diaries, for example, premiered in 2009 while Dark Shadows and Abraham Lincoln: Vampire Hunter were released in 2012. A few more films and series followed, but I believe by now Game of Thrones took away the attention from the vampires, but maybe “I don’t know nothing!”. 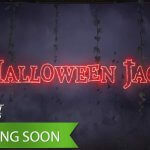 I see many suppliers of online casino games following some of the latest trends and NetEnt is no exception. What I like about the Swedish developer, though, is that the company always stays loyal to originality. No lame copies of the Twilight movies, or anything comparable to that, but just a vampire-themed video slot that brings you the well-known story of some blood suckers and their familiar habits. Released the year after the Twilight saga was premiered in the theaters, the Blood Suckers™ slot was definitely inspired by the vampire hype with some original characters and their odd habits in the spotlights. It was recently a revamped version was released, replacing the old version which was most probably created with flash, a developing technology that’s slowly disappearing from the stage while HTML belongs to the past as well as the rapidly developing technology brought the world HTML5. Brilliant games have been created thanks to HTML5 and it’s no wonder that the very popular Blood Suckers™ slot was revamped using this new technology. 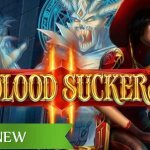 Blood Suckers 2™ slot, what’s new? Mainly known for its high payout percentage of 98%, the Blood Suckers™ slot has been popular from day one. In the eight years since the launch of this first Blood Suckers game, it never lost in popularity. But no matter if a revamped version was launched in the meantime, the popularity of the Blood Suckers™ slot asked for a sequel, one completely developed with HTML5 offering more advanced graphics and animations. And that’s exactly what’s new in the Blood Suckers 2™ slot with another intimidating NetEnt character being introduced. HTML5 proves to be brilliant again in cooperation with the talented NetEnt developers, of course, resulting in the Femme Fatale vampire Amilia on the left side of the reels. Things starting to become extremely real on the reels and having a look at Femme Fatale vampire Amilia, you’ll know what I’m talking about. She looks as intimidating as NetEnt’s Dracula did in the Dracula™ slot. Both original characters inspired by existing types, but neither one of them can be found elsewhere in a series or film. The secret behind NetEnt’s success. While Blood Suckers™ and Blood Suckers 2™ have a lot in common, this doesn’t apply to some of the game aspects such as the Return to Player (RTP) and betting options. A high RTP of 98% has been responsible for the never ending success of the Blood Suckers™ slot, but the RTP of Blood Suckers™ 2 is significantly lower with 96.94%. Still very much attractive, especially with a higher maximum win available of €300.000 on a single bet line compared to a €90.000 in Blood Suckers™. If it comes to the betting options, they don’t differ much and both offer a minimum bet of 0.25 and a maximum bet of 250.00. With 1-4 levels available in the original version of the game, the Blood Suckers 2™ is slightly different with its 10 levels. Hence, an extra coin value of 1.00 is added. HTML5 has had a big influence on the development of video slots regarding graphics and animations, but also when it comes to the gameplay. Everything seems possible these days and the era of standard 5×3 video slots has come to an end. Since the Blood Suckers 2™ slot concerns a sequel to an older NetEnt slot, NetEnt kept the standard 5×3 layout while some features return to the reels as well. I’m sure the Blood Suckers™ slot fans will recognise the bonus game, or at least the principles of the game. The old bonus game, for example, involved just one round and the animations can’t even be compared to one another. The coffins will return, though, but this time in a more thrilling Bonus Game which might be responsible for some goosebumps or increased adrenaline levels. During the Bonus Game, you’ll be transferred to a dark dungeon with several chambers to be discovered. The first chamber brings you nothing but fortune, but things start to become creepy as soon as the key opens the first lock. From there, you might be awarded with bonus wins and with a key to the next chamber, but the worst case scenario can be rather frightening. It’s up to you to find out what creepy creature is waiting for you in unexpected places! That’s just the Bonus Game I’m talking about, but there’s more, much more as the Blood Suckers 2™ slot is also featuring Wild substitutions, Blood Rose Free Spins, and two Random Features: Bonus Shot Feature and Scatter Shot Feature. That’s a lot to look forward to in this vampire-themed video slot as soon as the Femme Fatale vampire Amilia arrives at the vampire castle to find the Hidden Treasure of her ancestors that were slaughtered by vampire hunters years ago. Wild substitutions can be found throughout the entire game and they can appear anywhere on the reels where they substitute for all symbols except for Scatter and Bonus symbols. Besides the Wild symbol making an appearance on the reels in the main game, there will be also two Random Features, the Bonus Shot Feature and the Scatter Shot Feature, to be activated. -The Scatter Shot Feature can be activated if two Scatter symbols land on the reels. That’s when one extra Scatter symbol can be awarded in order to activate 10 Blood Rose Free Spins. – The Bonus Shot Feature is activated as soon as one extra overlay Bonus symbol is awarded on reel 1, 2, or 3. The last, but certainly not the least, bonus feature available in the Blood Suckers 2™ slot is the Blood Rose Free Spins feature. Three or more Scatter symbols anywhere on the reels will be enough to get 10 Blood Rose Free Spins started. 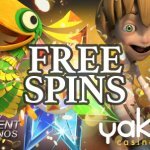 Pretty standard, this Free Spins feature allows the player to activate another 10 free spins if again three Scatters appear. 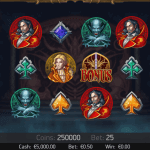 An aspect familiar from the older NetEnt slots, all bet line wins and Scatter wins during the Blood Rose Free Spins are multiplied by a x3 Multiplier. Are you ready for some modern vampire action on the reels? Daring and dauntless as Femme Fatale vampire Amilia is, and she’s there to help you to outbrave the Demon that guards the riches. You’re not on your own!